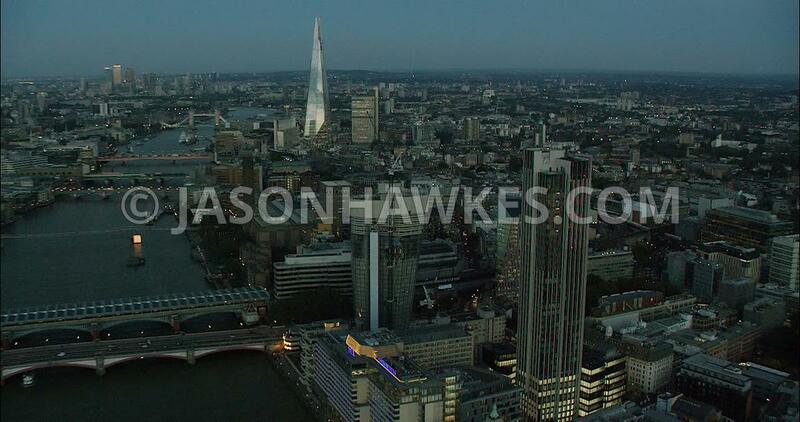 Aerial Footage London Aerial Footage of Blackfriars toward The Shard. London Aerial Footage of Blackfriars toward The Shard. London Aerial Film of Blackfriars Bridges and Millennium Bridge with River Thames.